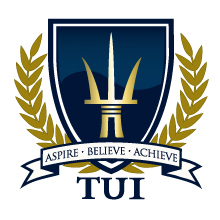 Trident University International’s diverse set of adult learners have made indelible marks in the classroom and in professional life. ‘Faces of Trident’ is an opportunity to highlight some of the accomplishments from the University’s students and alumni. Jeffrey Nagy, currently a candidate in the Ph.D. in Health Sciences program, presented some of his research at the Brain Trust: Pathways to Innovation event on April 20th-21 in Washington, DC. Nagy’s work addresses how occupational training and mission affect the relationship between combat exposure, PTSD, and functioning impairments after veterans’ transition back into American society. Previously a combat medic for the United States Army, Nagy is currently a self-employed data consultant, focusing on financial and health data governance, machine learning, predictive modeling, and customer segmentation of big data. Command Sgt. Maj. Luther Thomas (Master of Business Administration, Trident Class of ’06) recently was selected to serve as the senior enlisted adviser to the assistant secretary of defense for manpower and reserve affairs at the Pentagon. Enlisting in the Army in 1984, the North Carolina native previously held the post as the command sergeant major of the U.S. Army Reserve. His deployments include Operation Iraqi Freedom I, Operation Enduring Freedom, as well as serving on Task Force Katrina. Josie Miller (Master of Science in Health Sciences, Trident Class of ’16), a 20-year veteran of the United States Navy, was one of this year’s Council of College and Military Educators (CCME) scholarship recipients. She currently volunteers as a public health liaison and mentor for an at-risk youth program in Port Orchard, WA, and credits her experience in the MSHS program to helping her successfully transition into the civilian world. Miller also received a Bachelor of Science in Health Sciences from Trident in 2004 and is strongly considering a doctoral program. Dr. Alexander Fors (Doctor of Education, Trident Class of ’16) has the distinction of being the first graduate of Trident’s Ed.D. program. Dr. Fors is currently a foreign language teacher in California’s Antelope Valley, credentialed to teach both French and Italian. Additionally, he is also part of the digital literacy committee for his district. Since his time as a student, he has been conducting professional development sessions for his fellow teachers, crediting the support and guidance he received at Trident as key to his academic success and emergence as a leader in the classroom.